So You Want to Be a Sigma? The following information is our attempt to answer the questions of those who would like to be Σ’s. This is NOT official information... just some basic information that might help you in your quest. Why do you want to be a member of ΦΒΣ? We will not tell you what your answer should be, since each person will have his own reasons... but this is something that you must SERIOUSLY consider. It is not sufficient to say that you want to be a Σ in order to emulate your father, uncle, brother, teacher, etc.... ESPECIALLY if that person has not remained active with Σ. How much do you know about Σ? DO YOUR RESEARCH! Why would you want to be a part of an organization you know little or nothing about? What do you bring to Σ? What are your assets? What kind of public service have you done on your own? Σ is a public service fraternity. You'll find Σ’s active in UNCF, NAACP, Urban League, and a host of other organizations. As a matter fact, if you're interested in Σ, the best way to get to know Σ’s is for you to get active in some of the other organizations that we are active in. We will notice your work and consider you an asset to Σ. How do you act at an informational? Treat it like a JOB INTERVIEW! It's really very similar... you want to show off your best qualities and you've got a short time to do it. Make it count. Don't be overbearing, but it's not wise to appear aloof, either. Be friendly and show genuine interest. Ask questions, but not those that you already know the answer to or ones that have obvious answers. If you see a Σ there who you know from some other part of your life, make sure you make contact with him. Let him know where you know him from. Several undergraduates have asked what they can do if the Σ chapter at their school is suspended. The answer is simple... nothing, short of transferring to a school where the chapter is not suspended. If the chapter will not be active by the time you graduate (and you don't want to transfer), set your sights on an alumni chapter after you get your degree. You cannot pledge at a school with an active chapter unless you meet the membership requirements of the fraternity and chapter. 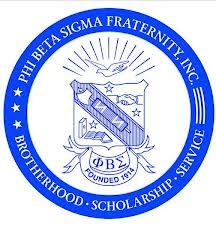 Can you pledge an undergraduate chapter if you are still at that school pursuing a graduate degree? NO. Once you have received a bachelor’s degree, you no longer qualify for undergraduate membership. You must be invited (YES, INVITED!) to join a graduate (alumni) chapter. Undergraduates who barely have the minimum 2.5 GPA to pledge should work on their grades prior to considering membership. S's founders were SCHOLARS. A 2.5 GPA is a mediocre one and Σ doesn't need mediocre men. So, if you feel that you have a low GPA - channel that energy into raising it! A frequent question is "How do I let the Σ’s on my campus/in my community know that I am interested without being annoying"? The answer depends on whether you already know a Σ. If you know one and feel comfortable with him, then simply express your interest, requesting that you be notified if membership intake is scheduled. If you later hear that membership intake is scheduled and you haven't gotten any information about it, express your interest again. If there's a Σ you'd really like to get to know better, try inviting him to lunch (or brunch on a Sunday afternoon), making it clear when you extend the invitation that you'd like to get to know him better and find out about Σ. Then use that time to tell him how you feel about Σ, what you have to offer the fraternity, and what you've done to prepare yourself. Ask him about his own involvement in Σ and if there are upcoming activities that you can help with or participate in. Ask his opinion of what you should be doing to prepare yourself. You can't "buy" his vote, but he'll remember that you invited him and he'll probably look upon you favorably because you took a chance. He may even recommend you to his other chapter members! We've recently received feedback from young men who are afraid to let Σ’s know that they are interested in membership intake. Our suggestion is this when an informational activity is announced, attend, get an application, apply, and let the chips fall where they may. Let your credentials speak for themselves, but be sure your credentials are in order! If you do not know a Σ, YOU'RE NOT DOING ENOUGH PUBLIC SERVICE! Get out there and work in your community and you will surely meet one. It also wouldn't hurt to attend any public Σ functions that you can. How much are dues? What does the membership intake process consist of? How long does it take? You'll be given this information when you attend an INFORMATIONAL... Until then, you really don't need to know. Guess what? Just because you meet the minimum requirements for membership (GPA, public service, recommendations, etc.) doesn't mean you'll be selected! Surprised? Don't be... Every Σ in the chapter that you apply to has a vote - and you must get a majority of those votes. If you don't get a majority, you will NOT "be accepted for membership intake"... plain and simple. Σ is a MEMBERSHIP organization - you don't just AUTOMATICALLY get in. No - there is no MINIMUM amount of public service that will qualify you for membership - You should be able to show a COMMITMENT to public service - not just doing it so that you will qualify to join. If you are interested in alumni chapter membership, you will need to make contact with that chapter, so that they can invite you to any interest meetings that they have. A couple of final notes... Are you willing to make a FINANCIAL commitment to ΦΒΣ? It's not enough to pay to join - Σ's business takes ONGOING financial support. Many men have been willing to spend a small fortune to get in and then complain about dues once they are members. Σ is not just a lifetime commitment... Σ is a LIFESTYLE! We do not need people who only wear t-shirts or step. If you cannot make Σ and its programmatic thrusts a prominent part of your life FOR THE REMAINDER OF YOUR LIFE, then ΦΒΣ is not the fraternity for you.